This herb is said to inspire strength and courage! 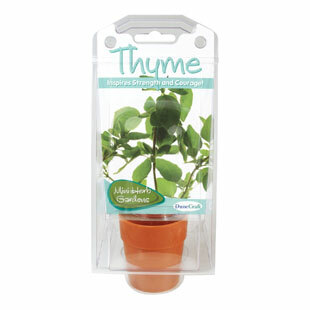 Herbs are easy and particularly satisfying to grow, especially with our capsule terrariums. All the herbs in this exquisite collection are easy to grow and rewarding to cultivate and will fill your kitchen and home with tasty herbs.